Simple enough to prepare in advance, our Spicy Baked Penne Casserole is a crowd-pleasing favorite. Packed with spicy goodness and a four-cheese blend, it will satisfy the pickiest appetites. 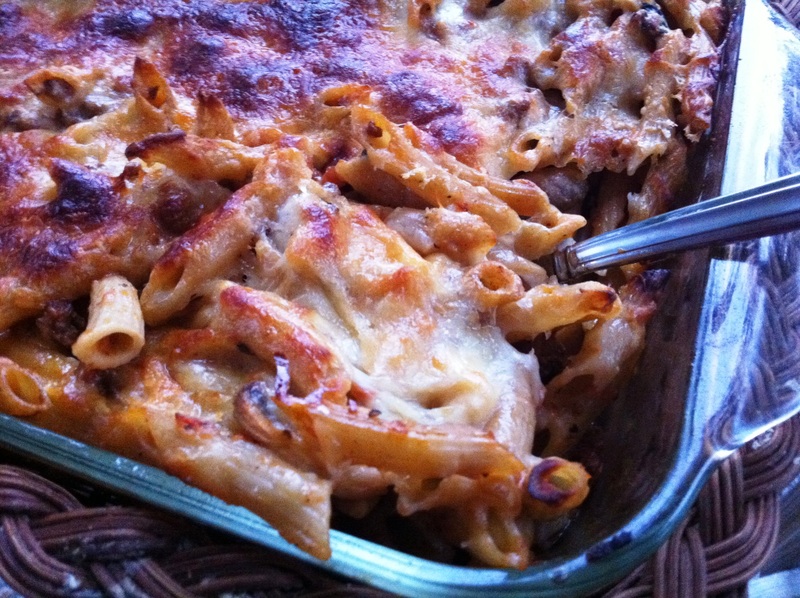 If you’re looking for a delicious pasta dish to satisfy picky eaters, our Spicy Baked Penne Casserole is big on flavor and cheesy enough to keep the kiddos happy. It is great for family meals, pot luck dinners or for a luncheon with friends. Simply prepare the sauce and assemble a day ahead, then bake the following day. Serve with a loaf of Bread with Herb Butter and a rustic tossed salad to complete the meal. Preheat oven to 375°F. Bring 12 cups water to a boil in a large pot, add pinch of salt to water. Cook pasta according to package directions, minus 2 minutes. Drain. In a large skillet, cook bacon or pancetta over medium-high heat until it begins to brown. Add onion, garlic and red pepper flakes, sauté until onion is translucent. Add ground beef, cook until brown. Add mushrooms, cook until reduced. Add sauce, seasoning, 1/2 teaspoon salt and 1/2 teaspoon pepper, stir. Once mixture begins to boil, reduce heat to low and simmer uncovered for 30 minutes. Add basil during last five minutes of cooking, stir. Remove pan from heat and discard basil. Pour sauce into pot with pasta and mix well. Pour into 13- x 9-inch dish sprayed with nonstick cooking spray. Mix cheeses in a medium bowl, then cheese mixture over top of baking dish. Bake 25 to 30 minutes or until heated through. TIP: Casserole can be assembled ahead of time. Refrigerate up to 24 hours. When ready to serve, bake uncovered as directed. Bacon, garlic and onion give our slow-cooked baked beans a rich smokey flavor perfect for hamburger night or your weekend barbecue. 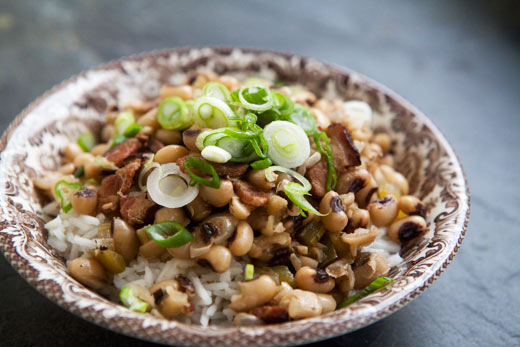 A delightful accompaniment to your weekend barbecue, this sweet-and-sassy blend of beans garners its rich flavor from smoky bacon, garlic and a touch of hot sauce. The long cook time breaks down the beans until they are soft and creamy, but still retain their shape. Rinse and drain beans. Cover with water in a large pot, and bring to a boil. Cover, remove from heat, and let stand overnight. Raise heat to high, stir in cider vinegar, and let simmer until reduced slightly, about 1 minute. 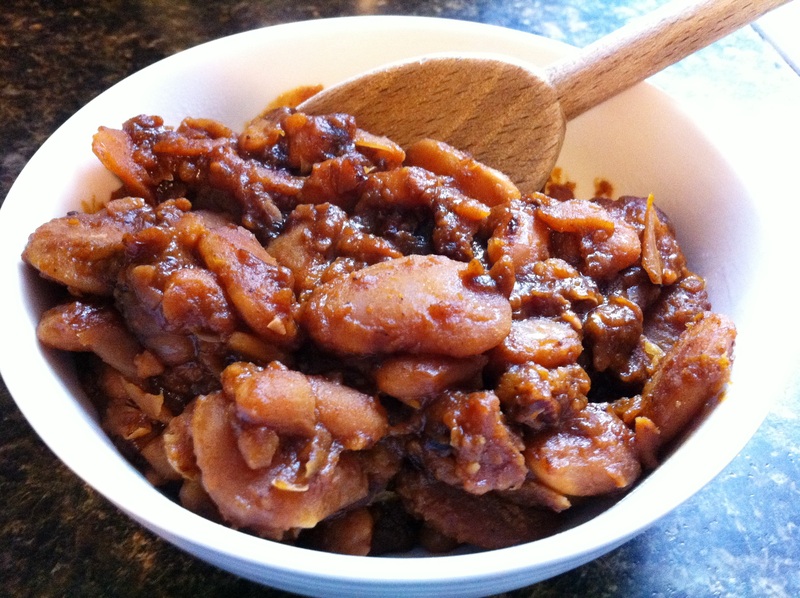 Stir in barbecue sauce, light-brown sugar, mustard, salt and hot sauce, if desired. Drain beans and add to onion mixture. Stir in water, and bring to a boil. Cover, and reduce heat to a low simmer. Cook, stirring occasionally, until beans are tender, about 3 hours (more if necessary, depending on age of beans). Season with salt and pepper if desired. Beans can be refrigerated for up to 2 days. Reheat, and serve warm. 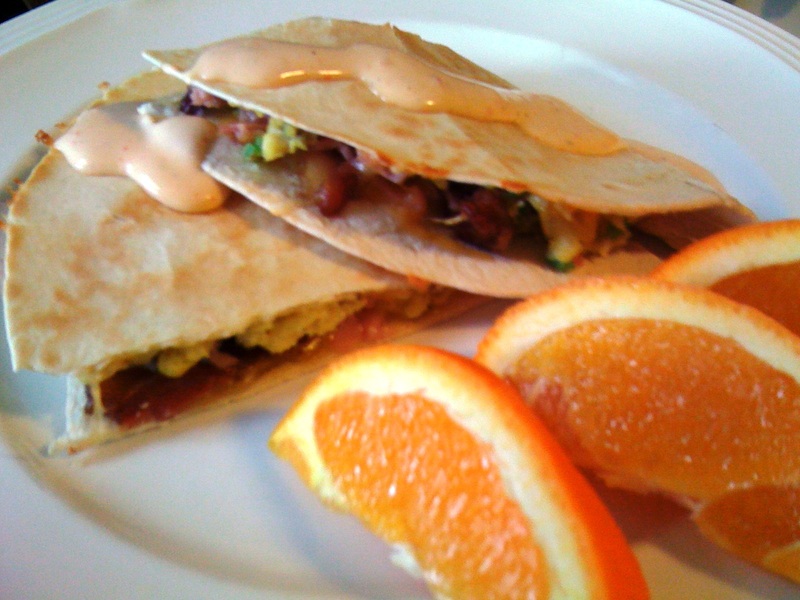 These yummy breakfast quesadillas are filled with fresh veggies, smoky meats and creamy eggs & cheese. There are few things handier or tastier than the melt-in-your-mouth deliciousness of tortillas filled with fresh veggies, smoky meats and creamy eggs and cheese. Serve these quesadillas at the table topped with our special sauce or wrap them in foil and run out the door. Either way, you’ll be glad you made time for this filling, yummy breakfast! Whisk together first 6 ingredients. Cook in a lightly greased large cast iron skillet over medium heat, without stirring, until eggs begin to set on bottom. Draw a spatula across bottom of skillet to form large curds. Continue cooking until eggs are thickened but still moist. (Do not stir constantly.) Remove egg mixture from skillet, and set aside. Wipe skillet clean. Stir together Ranch dressing and salsa; set salsa mixture aside. Sprinkle 1/4 cup cheese evenly onto half of each tortilla; top evenly with one-fourth of egg mixture, bacon and ham. Top each half with 1/4 cup more cheese. Fold tortilla in half over filling, pressing gently to seal. Heat skillet coated with cooking spray over medium-high heat. Add quesadillas, in 2 batches, and cook 3 to 4 minutes on each side or until golden brown. Serve with salsa mixture.